TCXO oscillator products are generally supplied for GPS, Wireless, Sonet, Fibre Channel, Wifi, Server, and Storage applications. ILSI TCXO and TCVCXO oscillator products can be supplied for industrial temperature ranges of -40C to +85C. In simple terms the Temperature Compensated Crystal Oscillator measures temperature to correct the frequency deviation of a circuit over temperature. ILSI supplies Temperature Compensated Crystal Oscillators (TCXO) and Temperature Compensated Voltage Controlled Crystal Oscillators (TCVCXO or VCTCXO) in a wide range of frequencies, several different voltages, and logic options. Our output logic options consist of HCMOS and Clipped Sinewave configurations. TCXO oscillator products can be supplied in many tight frequency stability specifications including 0.5 ppm. 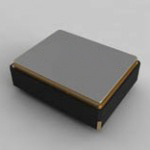 TCXO and TCVCXO products can be supplied in Surface Mount Device (SMD), thru hole, metal can, and ceramic packaging configurations. 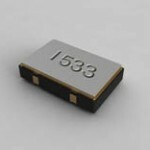 These products can also be supplied in miniature ceramic surface mount packaging if necessary. For even more product options, please visit MMD Monitor/Quartztek Frequency Control Products.